A high quality security camera would offer up to 100 feet infrared night vision and help you to monitor day and night your house, your front yard, your back garden, your garage , and anywhere you want. With ZOSI security camera which features 100ft infrared night vision, you will never miss anything important even in the dark. Find below video captured by our customer Tiffany Wall in which it catch one unexpected visitor in Infrared Night Vision mode captured with Zosi 1080P 8 Channel Wireless NVR System. 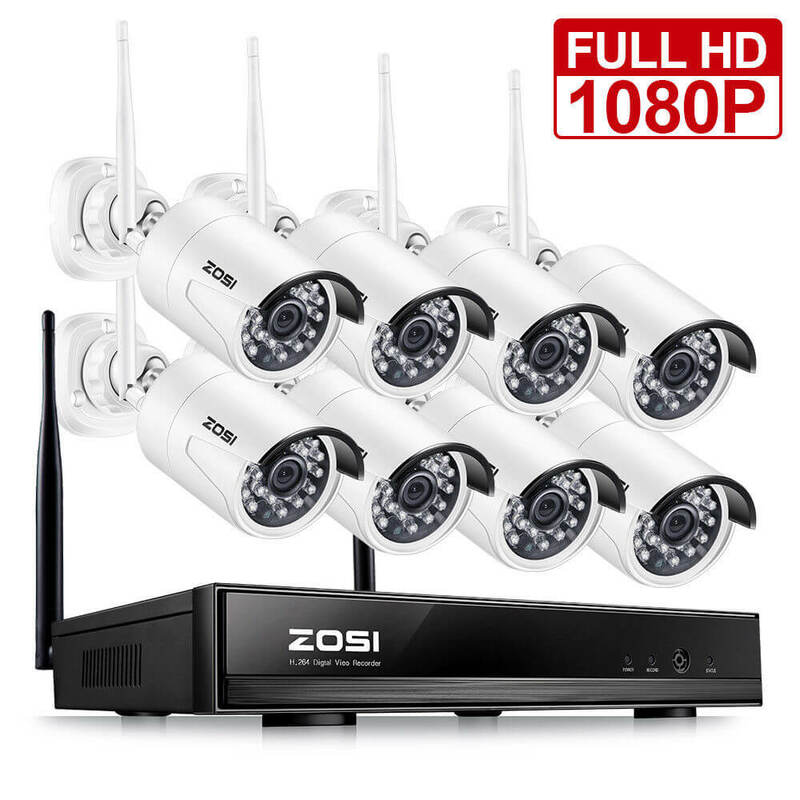 If you want a quick buying guide for the security system with 100ft infrared night vision, you can find below product (SKU:ZSWNVK-B82002) . 1080P High Resolution. Capture everything in detail with crisp and clear image. 100ft Infrared Night Vision. Never miss anything important even in the dark with up to 100ft IR range at night.